An LCM (RR) (USN 1004) of the RRP ferries a jeep, an Armored Personnel Carrier and a tank across the Rhine River during a river crossing exercise with 2nd Armored Division units. 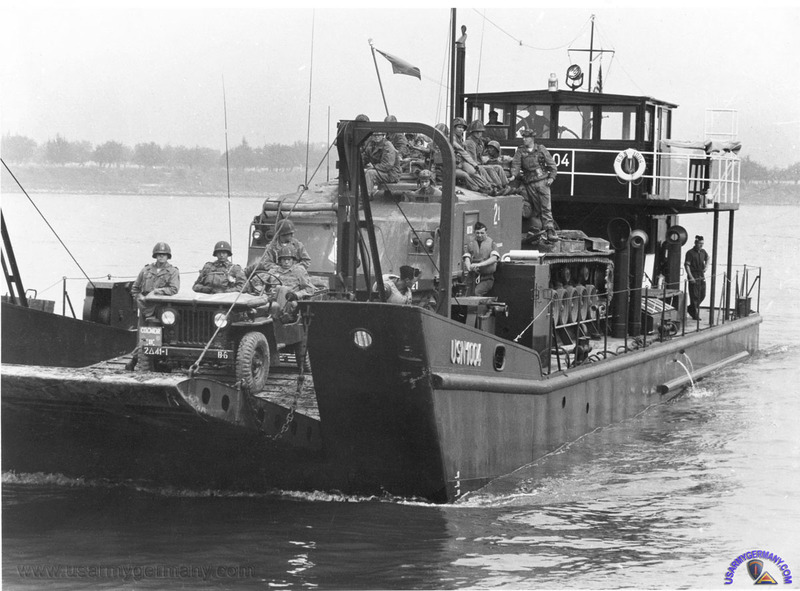 (Webmaster note: I believe most -- not all -- of the LCM (RR) landing craft were manned by LSU members (German labor service). That would certainly appear to be the case with USN 1004).